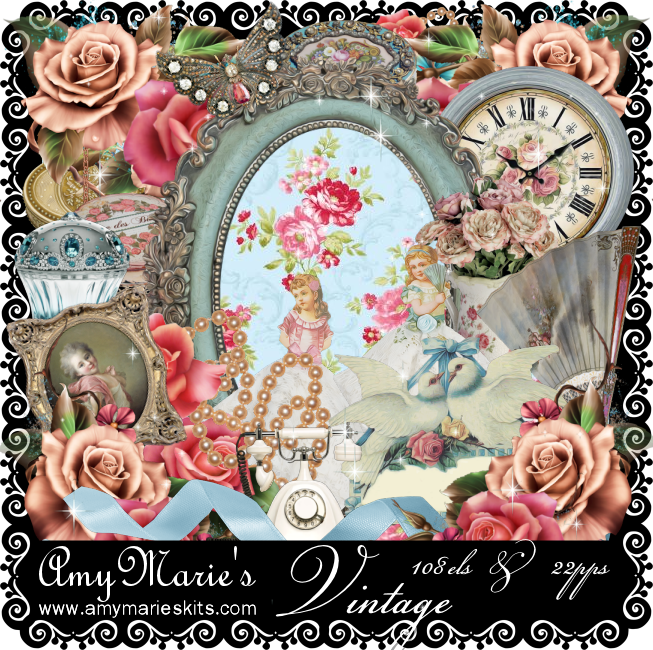 Amy Marie's newest kit Vintage is the most stunning kit I have seen in awhile. 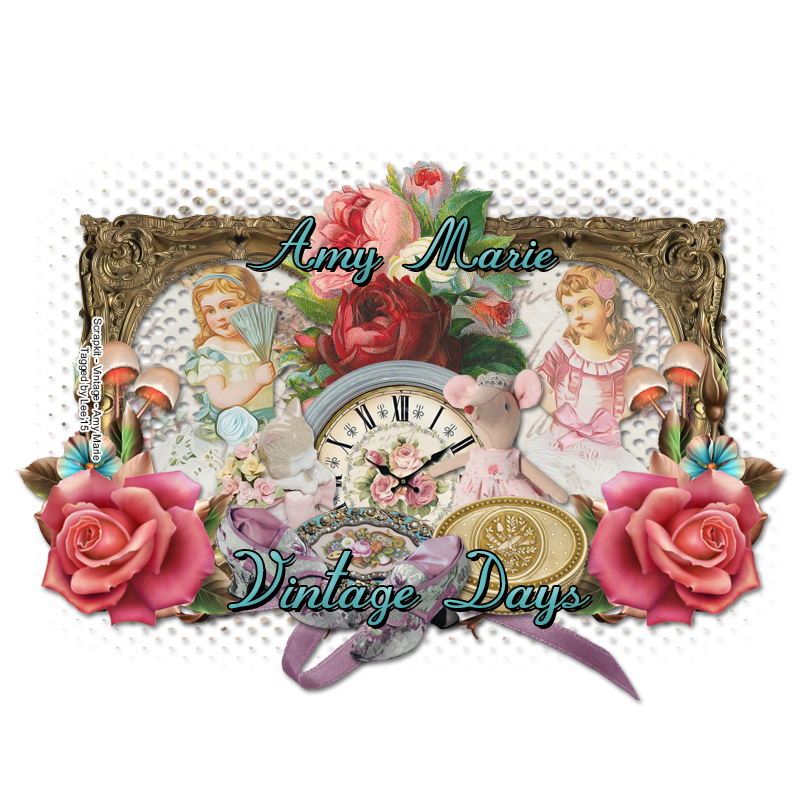 Think old vintage & the pastel colors of vintage. I paired it with an Ana Neves tube that looks vintage & it matched perfectly. The kit contains 26 papers & 108 elements.